Bryce Canyon – It really is not a Canyon !!! “ The difference between fiction and reality? Fiction has to make sense “ – Tom Clancy. That is exactly what I felt, when I got the first glimpse of Bryce Canyon. Is this real ? Is this a Hollywood set ? So many questions :) Looking at this place, it definitely begs the question as to why (or how) this entire Bryce Canyon was created (and is still evolving). Apart from the natural forces, probably , may be He just looked and thought – why not ! Getting up at 5 in the morning – was much more than the worth – to see the amazing color that the hoodoos turn onto, with the dawn’s light. 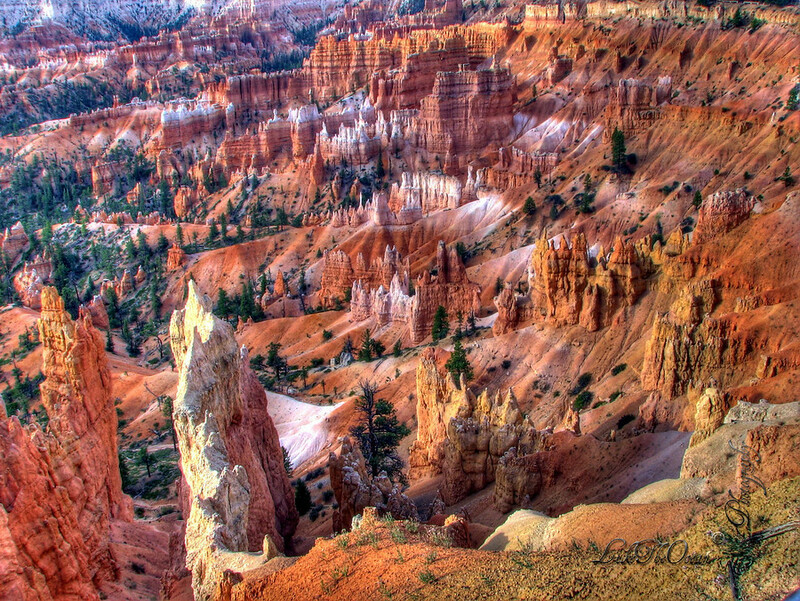 Bryce canyon is probably a misnomer , as it really is not a canyon. Though it is the result of the same natural forces – like that of canyon. It looks more like a huge natural amphitheater – ever changing. Canyon or not – it indeed is amazing.